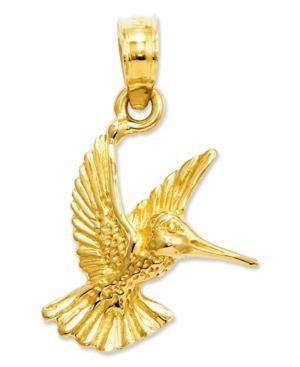 A great symbol of longevity and fastidiousness, this hummingbird charm displays the beauty of this natural wonder in 14k gold. Chain not included. Approximate drop length: 4/5 inch. Approximate drop width: 1/2 inch.